The experienced house moving team here at Caloundra Removals & Storage know what works best for all types of removals. Wherever you are located in the Brisbane area and no matter where you are moving to, finding the best removalists in Brisbane for your move may be easier than you think. A locally based company that has extensive removals experience both in the Brisbane area and interstate wide is most likely to provide the expertise you need. It virtually goes without mention that reliability and a high level of professionalism are essential to making your house move run smoothly. Removalists in Brisbane that respond promptly to your enquiries and turn up at the agreed time are just a couple of the signs of a professional operation. 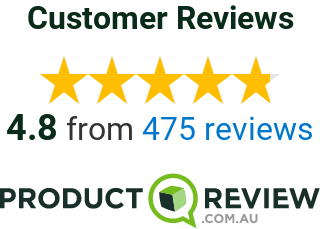 From forward planning and the creation of a detailed inventory to ensuring the order of loading, a reputable removalist in Brisbane will be able to take care of them all. Such a removalist will be able to provide not only a diverse range of packaging items and materials but also carry out expert packing should you need it. The best people for the task are those who apply the highest levels of care to your belongings. Such a company will treat you, your possessions, and your property with the greatest of courtesy and respect at all times. The really good news for Brisbane residents who are moving home is that Caloundra Removals & Storage are the Brisbane house moving experts. Call Caloundra Removals & Storage now on 07 5493 8888 or visit our website at to discover why our customers think that we are the best removalists in Brisbane.